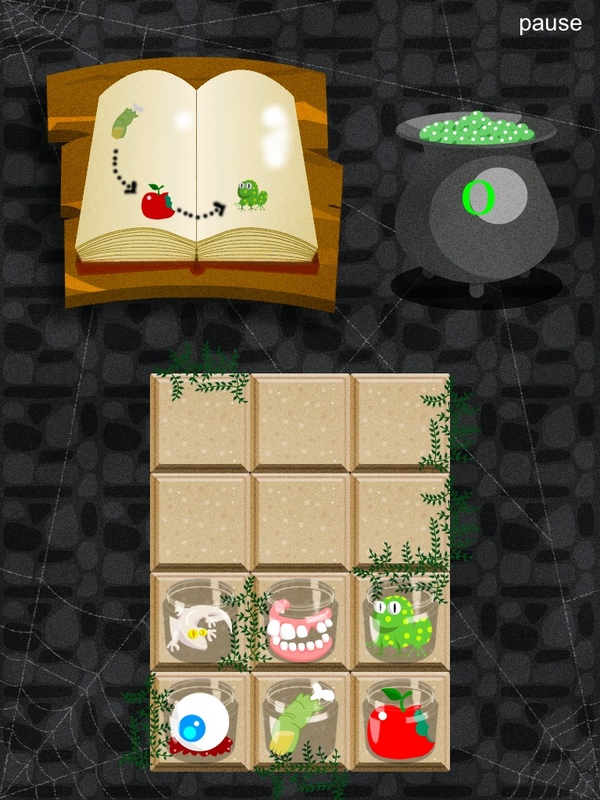 Cooking Wicca HD is a simple, pick up and play affair for kids that is sufficiently creepy crawly to put them in the mood for Halloween. With Halloween round the corner, there are plenty of Halloween themed games abound. Cooking Wicca HD takes the proverbial “double double toil and trouble” by letting you cook up icky recipes that can only be found in a witch’s cauldron. Gameplay is quite simple – you have to cook up recipes by following in a specific order certain ingredients from the recipe book. The ingredients are strictly witches’ cauldron fare – from lizards to eyeballs. After completing several levels you slowly get to unlock more ingredients. The cartoony artwork is rather plain-looking, but not necessarily in a bad way. The pastel colors and light drawings make the graphics look clean and minimalistic. Cooking Wicca HD also ramps up the Halloween atmosphere by putting in a ghoulish soundtrack. The short levels and repetitiveness of the game mechanics is best suited for kids. The repetitiveness of the gameplay ought to be remedied, in my opinion, by varying the gameplay a bit at higher levels or by throwing in a few extras, such as ghoulish recipes corresponding to a particular combo of ingredients which just feel too random. There are many great Halloween games out there, so I’m hard pressed to put Cooking Wicca HD on the buy list. However, for its current sale price, it’s perfectly suited to young children so you might want to keep that in mind. appSIZED is your one-stop shop for iPad, iPhone and iPod Touch game and app reviews, news and giveaways. For more info, email enuhiglesias [at] gmail.com. Sale Alert! Nyan Cat, Touch Racing and Other iOS Games Are Free! Myth Defense (Light Forces) in Review: Too Damn Hard!